The 7580/7590 – 4WD series tractors deliver high level productivity at an economical price. 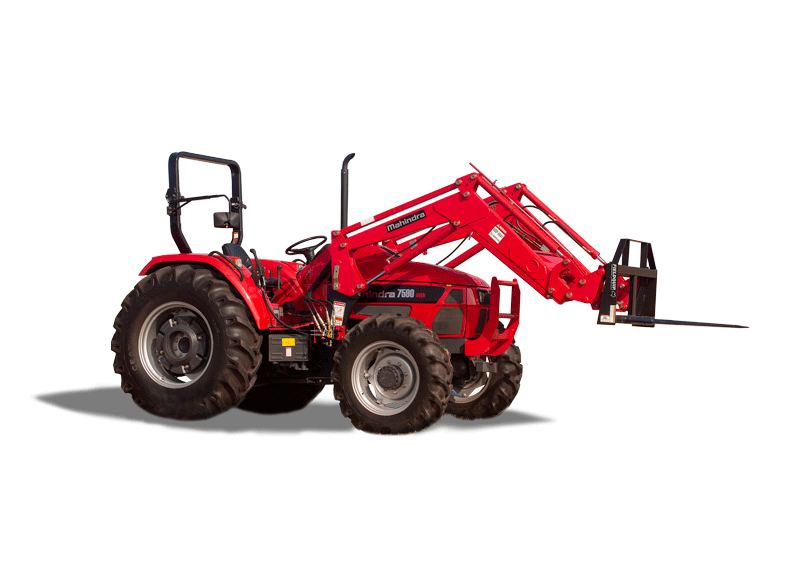 The tractors come standard with a high performance engine, heavy duty synchromesh transmission, designed to match the impressive power and torque characteristics of the engine. A rugged mainframe with durable boom structure mounted rigidly across chassis. Self Level Design – The linkage on the loader maintains the bucket in the horizontal position, just by operating the boom, offering safe work performance. Quick Hitch Design – Switching from buckets to pallet forks, bale spikes etc. is easier and quicker. Quick Attach Design – The loader can be easily installed and removed with just two pins.